According to Shangdong province authorities the containership Guangyangxingang sank off the Chinese coast last Monday, due to bad weather and strong winds. One of the crew members has been rescued by a helicopter. Rescuers have retrieved 11 bodies and are searching for two missing crew members after a container ship sank off east China. The Beihai Rescue Bureau of the Ministry of Transport dispatched two rescue vessels and a helicopter to the seawater area 40 nautical miles northeast of Longkou, Shandong Province, after the ship with 14 aboard capsized and sank at around 5:15 p.m. on Monday amid strong winds. 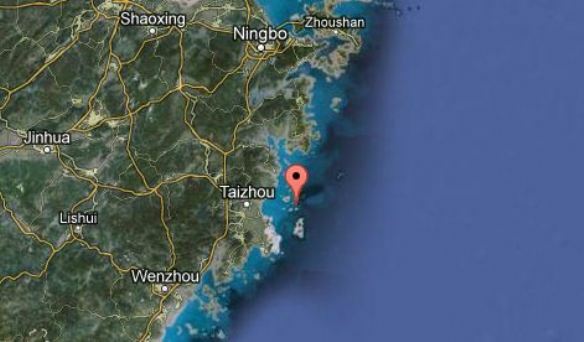 The ship, traveling from the northern coast to Taizhou in eastern Zhejiang Province, capsized 40 nautical miles northeast of Longkou in Shandong Province.